← Get High & Beat the Heat! 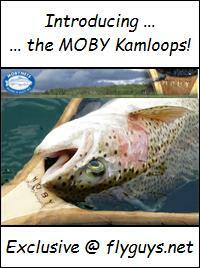 If you’re interested in targeting river run pacific salmon on the fly then you better get to know the humpy! Fly fishing pink salmon on the Fraser river, or any river for that matter, is a great day to spend a day on the water! Check out the how to below ……. Pink salmon (AKA humpys) run in a two-year cycle. They are one of the last salmon to enter the Fraser River and its tributaries commonly beginning around mid August to the end of September. 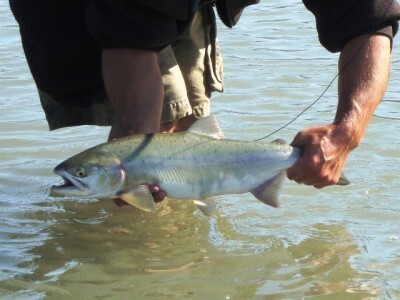 Unlike Sockeye salmon, Pinks will feed and strike at lures during their freshwater trek to spawn and therefore allow for the use of several different fishing techniques. 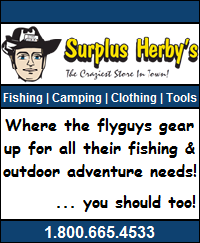 Their sheer numbers during this time of year make them the perfect candidates for fly fishers! Dragonfly “Kamloops” 8 Weight with all the fixins! 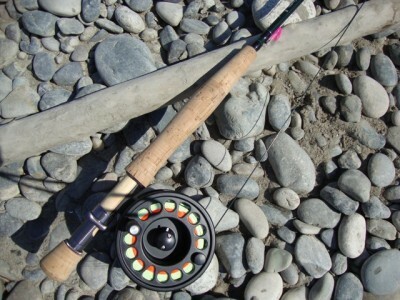 Rods: Any standard fly rod from weight 6 to 8 and in the 9 – 10 foot range will suffice for fly fishing pink salmon. 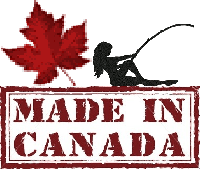 We have been using the Dragonfly “Kamloops” 9 foot in weight 8 but it’s all about personal preference and cost so try a few out and then buy the one that feels best for you within the price range that you can afford. Reels: Any single action fly reel with a decent drag and big enough to hold a sufficient amount of backing with your fly line will do. On this trip we used the Dragonfly DX 7/8 Large Arbor but again it’s all about personal preference so try a few out and then buy the one that feels best for you within the price range that you’re willing to spend. Fly Line: Choose your fly line to match the weight of your fly rod or one weight higher. Depending on the depth of water that you are fishing you may need a range of lines from full floater to fast sinking. To cover all the bases, and save money, we opted for Scientific Anglers Quad tip system. This package comes with a full floating main section and four different tips: floating, intermediate, slow sink and fast sink. There are other brands out there so shop around and find one that works for you. The Fly: Anything pink (or with pink in it) and big enough to cast a nice silhouette in the water. The less the visibility, the larger and flashier the fly. Here’s a couple that we have had good success with! Once located, cast out and slightly upstream and then quickly mend your line to form a downstream bow. Let it all drift downstream until the bow has straightened out and your fly line is parallel with the shore line. If you haven’t hit a fish by then strip everything back in and repeat the process. When fly fishing pink salmon the strikes can vary from subtle to fierce and typically take place between one and two o’clock in your sweep … but be prepared as occasionally they will hit the fly as soon as it hits the water 😯 . If there are pinks in the area it shouldn’t take you long to latch into one. If you don’t have any success within 30 minutes or so and can see pinks rolling then try adjusting your depth. 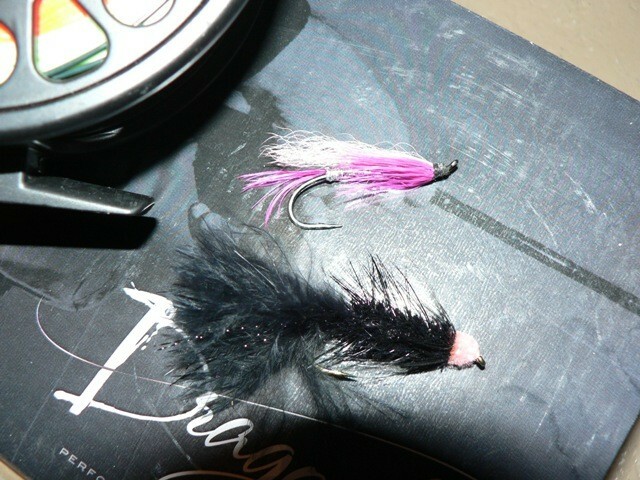 If you have no luck and do not see any Pink salmon moving then it’s probably time to relocate and try a different area. Well that’s our fly fishing pink salmon tutorial folks! Gear up, check the fishery numbers and head out and give it a go! The worst that can happen is you get to spend some quality relaxation time taking in the gorgeous scenery of the Fraser River and its surrounding areas! And, if your lucky, you might be rewarded with a few plump pinky’s for your efforts! This entry was posted in River Run Salmon Fishing and tagged fly fishing, fraser river pink salmon, how to fly fish pink salmon, pink salmon, Salmon. Bookmark the permalink.